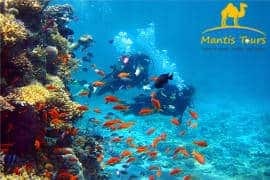 Mantis Tours is a local tour operator, which is located in Eilat (Israel) . We are specialized in tours to Jordan, tours to Petra and tours to Wadi Rum. The tour to Jordan that we offer are definitely the best choice that you can make, and we let the testimonials of our clients in TripAdvisor and YouTube to speak in our behalf. 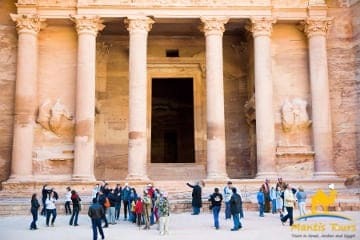 Our uniqueness is in the high level of personal service that we offer to our clients, and the careful attention to all the little details that make each and every Jordan Tour to a perfect trip and a great experience. Starting from our professional representative in Eilat, who will pick you up from your accommodation and offer you as a gift fruits of the season; to our professional representative in Jordan, who will wait for you right at the entrance to the border, and take you to your professional tour guide from our selective team of experts; continue to the carefully planned tour itinerary and superior hand-picked restaurant and hotel; and lastly with our representative in Eilat, who will wait for you after the tour to take you back to your accommodation, and give you a personalized souvenir. We invite you to select and book with us the best tour to Jordan that suits you from the wide variety of tours to Jordan that we offer. You are also welcome to contact us with any question that you might have. Our team of experts is ready to assist you online, on email, phone, chat, Skype, Messenger, WhatsApp, Viber and Telegram. We are a reputable local tour operator located in Eilat, Israel. 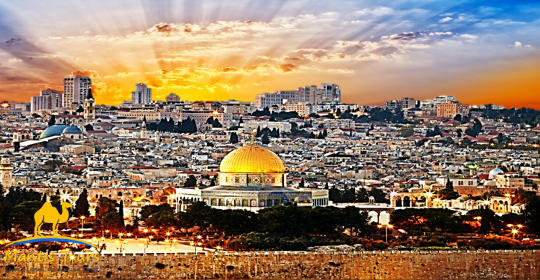 We are specialized in planning, organizing and conducting guided tours in Israel, Jordan and Egypt. We employ highly experienced government licensed tour guides, and we offer tours in a wide range of languages. All of our vehicles are modern top comfort and air-conditioned – approved by the Ministry of Tourism. 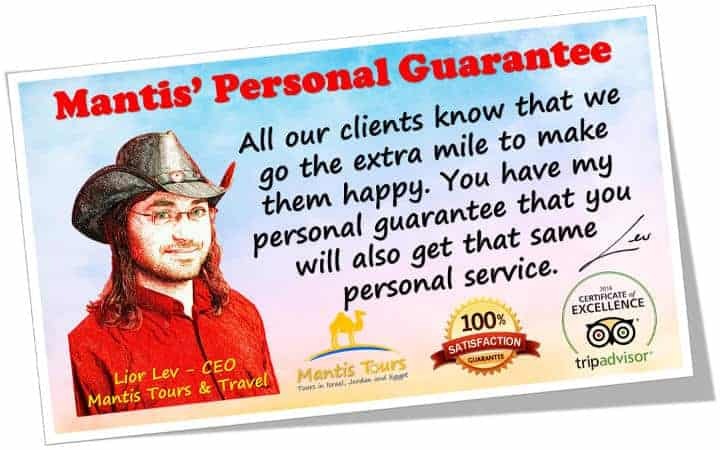 Lior Lev established Mantis Tours & Travel in 2010, in a vision of giving to tourists high quality tours with an emphasis on personal service and affordable low prices. Our company started as a small attractions company in Eilat, and during its existence it grew rapidly to a leading tourism company that offers a wide range of regular and private tours in all Israel, as well as tours to Jordan and Egypt. Leading tour operator in Eilat for tours to Jerusalem, tours to Petra and Wadi Rum, and tours to Cairo and the Pyramids! Thank you for choosing Mantis Tours website! Mantis Tours & Travel is a local boutique tour operator in Eilat (Israel) . 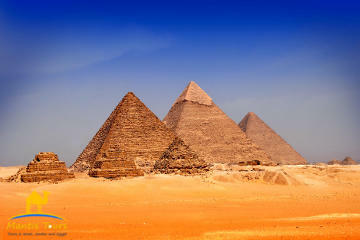 We offer you the best VIP Israel tours, Jordan Tours and Egypt tours. 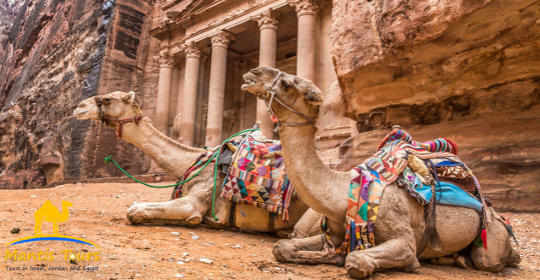 We are experts in conducting the best Petra tours and Wadi Rum tours from Eilat, Aqaba and Amman, as well as Cairo tours and the Pyramids, since 2010. We are Petra’s favorite tour operator for a reason! Don’t compare us to other tour operators or agencies. 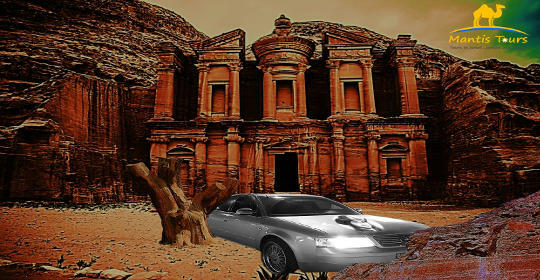 Our tours to Petra are the best value available, based on our great prices without ever compromising on quality. As we are a tour operator (not an agency), we guarantee for the lowest rates (no commission or booking fees), and also committed for the best customer service and high quality tours. As Mantis Tours is not a huge corporation with a multitude of inefficient staff, we also guarantee you fast, friendly and personal attention. We promise exceptional pricing, superior quality and an outstanding efficiency. We encourage you to contact us with any questions or special requests. We also invite you to watch our videos and great reviews, and book your tours with us. Our new website is still under construction. If you don’t find here the tour that you are looking for, then please contact us or visit our old website. You can also visit our landing pages of Petra Tours and Jerusalem Tours. 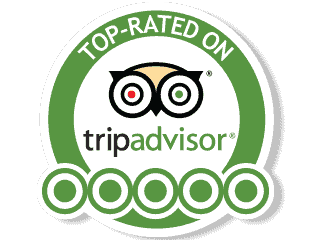 Top rated tour operator on TripAdvisor! Mantis Tours & Travel is a boutique tour operator. We care about our clients and offer 24/7 direct support. We employ only the best licensed tour guides. We use only high quality vehicles, restaurants and hotels. We go above and beyond to give our clients the best imaginable service. We promise to beat your highest expectations from a tour operator. Freebies – package of fresh fruits, big bottle of mineral water and a hat. Extended guided tour in Petra. Lunch at a superior restaurant in Petra. Panoramic city tour of Aqaba. Short horseback riding in Petra. Accommodation at a deluxe Bedouin camp in Wadi Rum on HB basis. Jeep safari in Wadi Rum nature reserve. Free time to explore the market of Aqaba. Newest models air-conditioned buses with WiFi. Bathing in the Dead Sea with black mud. Visit the Baptismal site on the Jordan River. Visit the Church of the Nativity in Bethlehem. Lunch at a superior restaurant in Bethlehem. 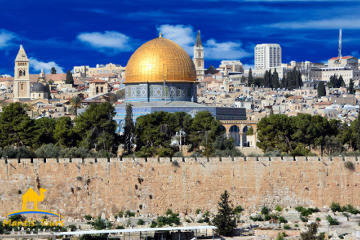 Visit the Old City of Jerusalem – The Wailing Wall, Via Dolorosa, Church of the Holy Sepulchre. Accommodation at 3-star hotel in Bethlehem on HB basis. Visit Nazareth, Capernaum, Tiberius and the Sea of Galilee. Mantis Tours & Travel is a leading Israeli tour operator, specializing in the planning, organizing and conducting guided tours in Israel, Jordan and Egypt. We are the #1 Petra Tours operator and Jerusalem Tours from Eilat! Why booking with Mantis Tours?